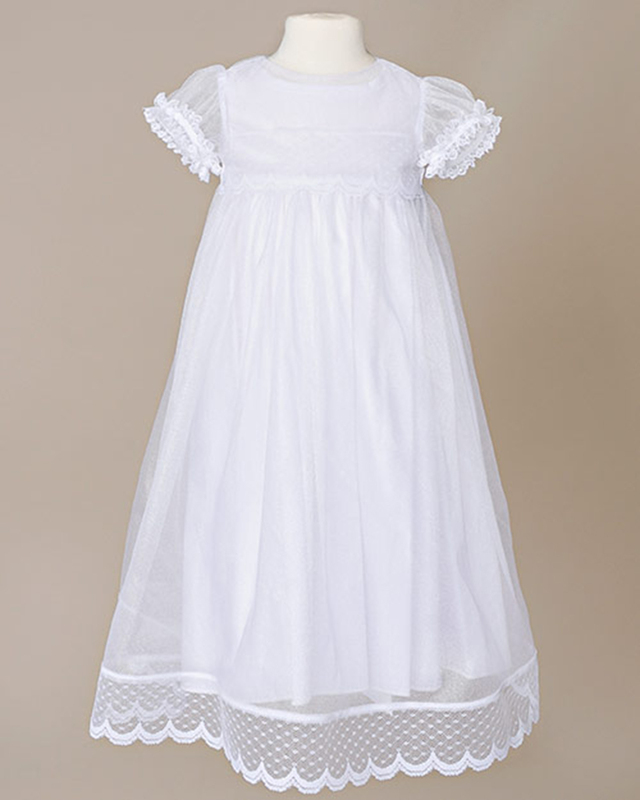 We started with elegantly soft nylon and draped it over our popular 100% cotton slip. 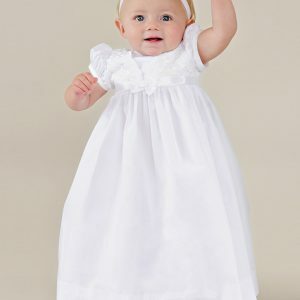 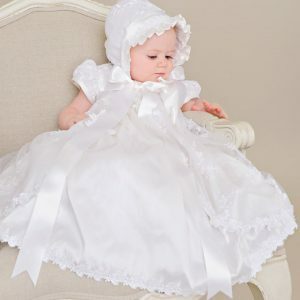 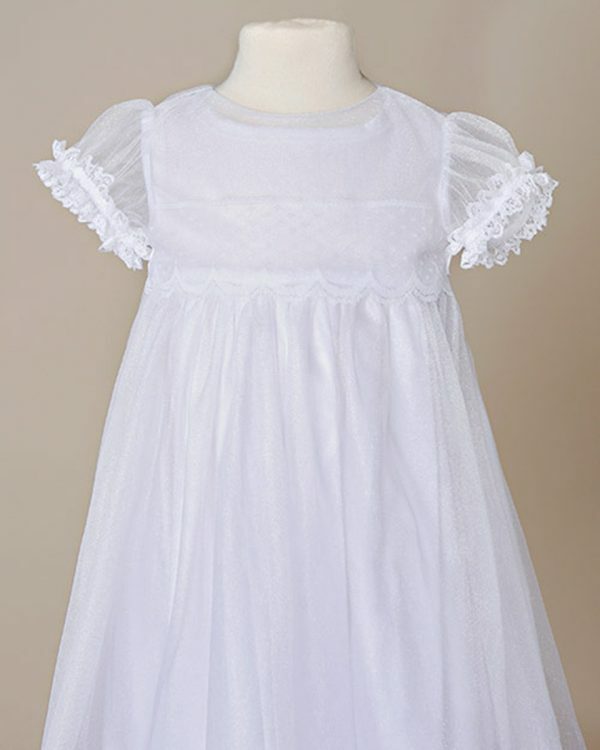 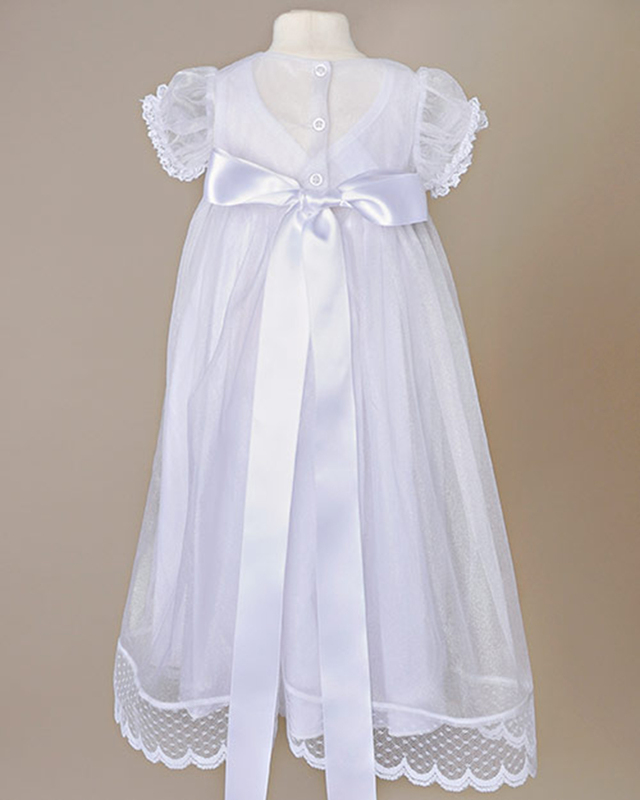 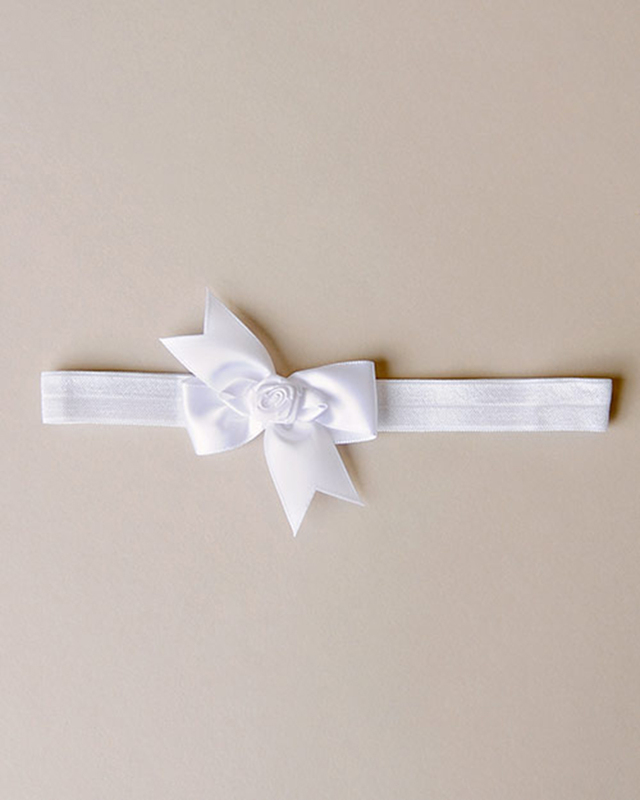 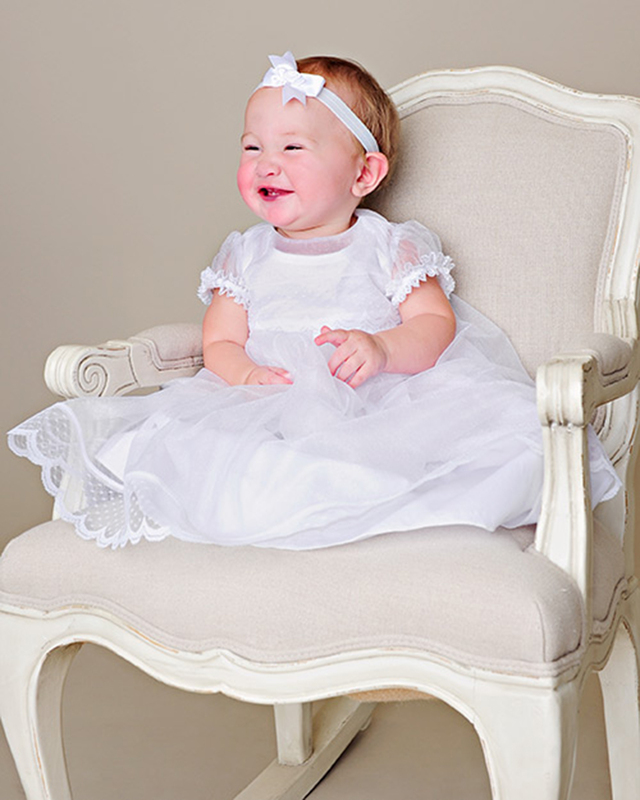 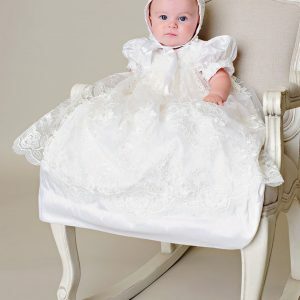 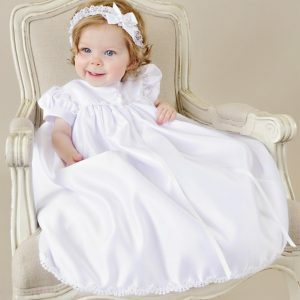 The result was a captivating baby baptism dress that you can’t help but admire. Monogram her initials to the underslip for an adorable peek-a-boo effect!